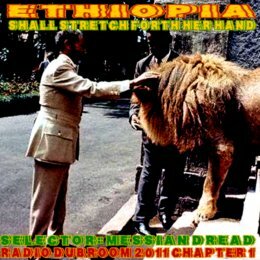 WWW, January 2011 - In the first chapter of Radio Dubroom 2011, we go into an eighty minute experience of contemporary Roots Reggae with a lot of Dubwise to celebrate another series of conscious sounds selected and mixed by Messian Dread. Reggae Music is in many way African Music, spiritually Ethiopian because of the long-time relation of JAH with that land that is even described in one of the first chapter of Genesis. Long before any of these other names came to common consciousness, that is. We start of with two dub tracks with their vocal counterpart from Benaiah, taken from the MP#.com legacy. Cool Roots Reggae, followed by Swedish based Lion and UK based Nucleus Roots, each on with a crucial Dub tune. After that, a small livication to UK based Fullness, whose collaboration with vocalist Izyah Davis is gladly received, reviewed and played here in Radio Dubroom. More Nucleus Roots and Lion Dub, followed by some heavyweight steppers Dubs from Conscious Sounds, the Blackstarliners, BR Stylers, Alp0ha and Omega to name just a few are followed and form the last part of this chapter.